Atlanta rapper Waka Flocka Flame didn’t look to 2 Chainz or Lil Wayne for growing out his hair. The hip-hop artist has credited a throwback movie character for inspiring his signature dreads. Flocka went to Instagram this past weekend and saluted Larenz Tate‘s “O-Dawg” character from Menace II Society. Earlier this year, Flocka went to war with streaming giant Datpiff. thank you Waka! i called Datpiff out awhile back and they blocked me from all their twitters! they also add TAGS to certain artists mixtapes and ruin them! ontop of their whole site being polluted with ad's now…they been collecting big bags FREE from artists way too long now! Outside of the social media explosion, Waka recently celebrated a major anniversary with longtime bae Tammy Rivera. 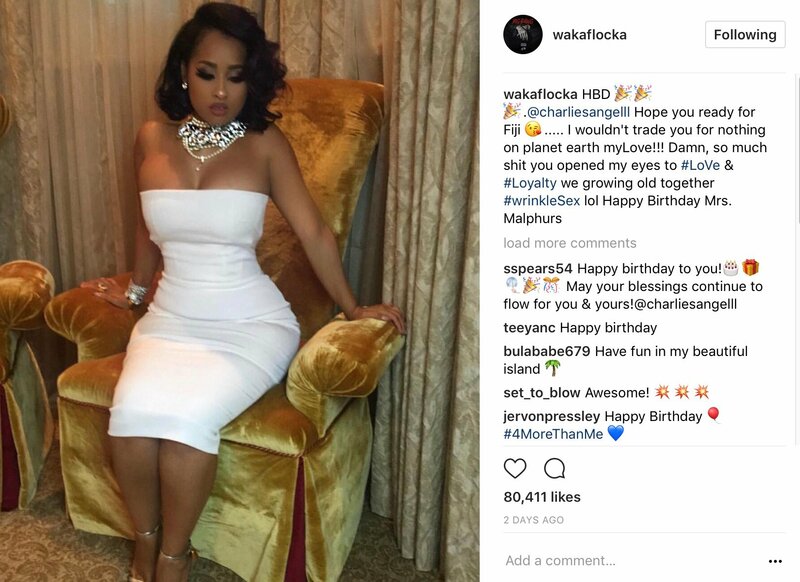 In July, Waka showered Tammy with some birthday love on social media.